Want to be the "King of the Road"? Driving in style and luxury may be your chosen way to travel to your hen night destination! 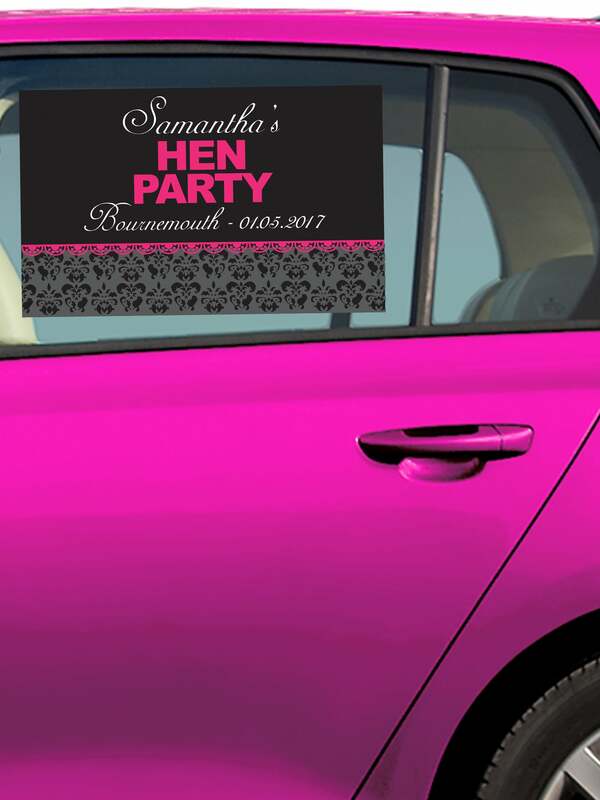 With this luscious hen party car window sticker you can achieve a beautiful look for not only your hens but for your car too! This personalised hen party car window sticker looks gorgeous and you can choose your own personal wording. You can choose the bride to be's name, the location and the date of the hen party. This sticker comes on a backing sheet and once your ready to use it you can simply peel off the sticker and attach to the window starting at one side.